I hope you guys have had a lovely week! 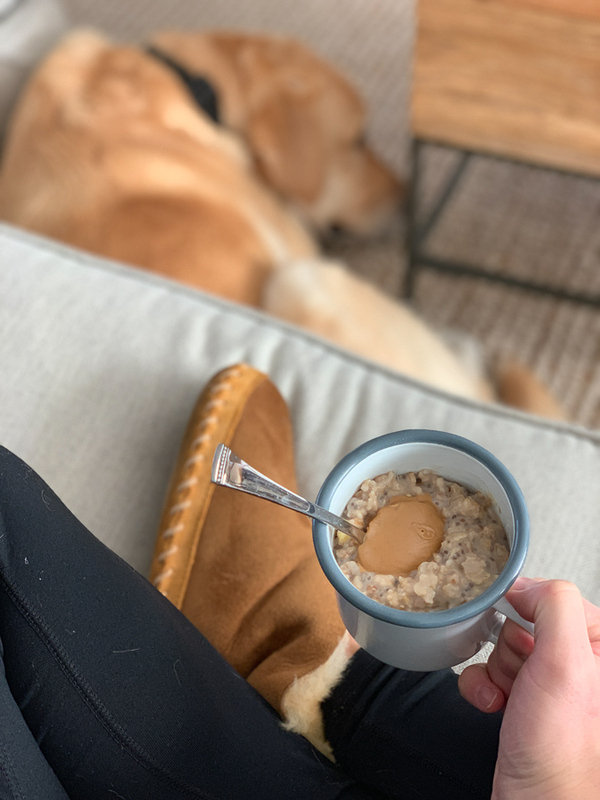 Gus and I are enjoying cozy oatmeal on the couch. 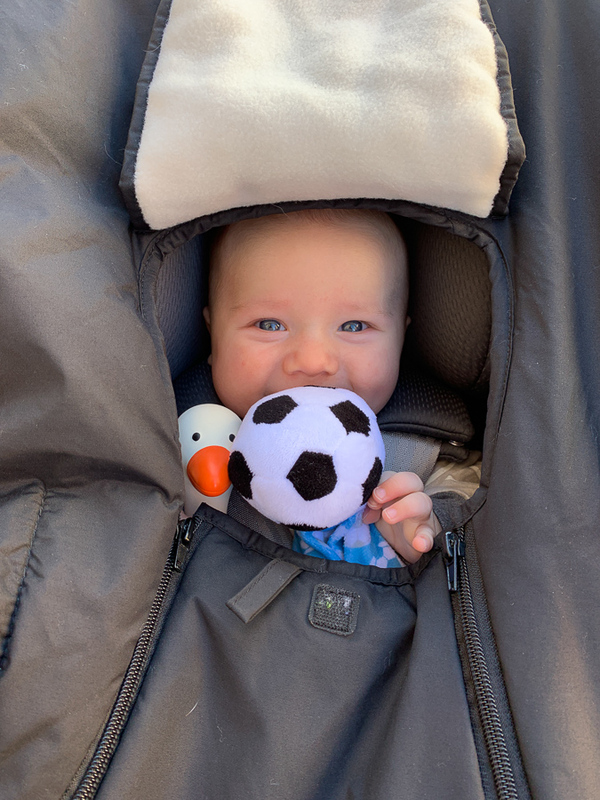 Mr. Birch and his BFFs, soccer lovely and Gertie the Goose, say hi! Mazen’s latest Kiwi Crate came with a recipe for energy balls, so we decided to make those together one afternoon. 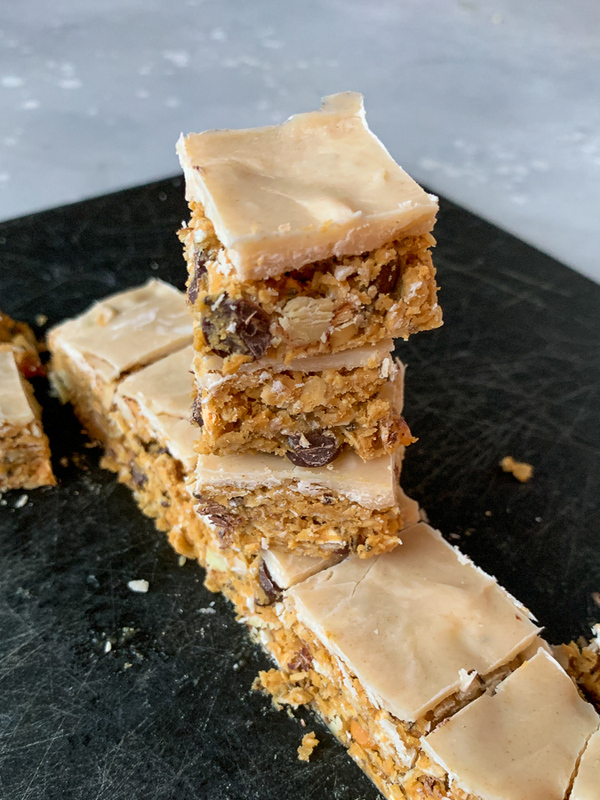 I used the base recipe, but I subbed in some butterscotch chips for half of the chocolate chips, added chia seeds, and mixed in optional chopped almonds. 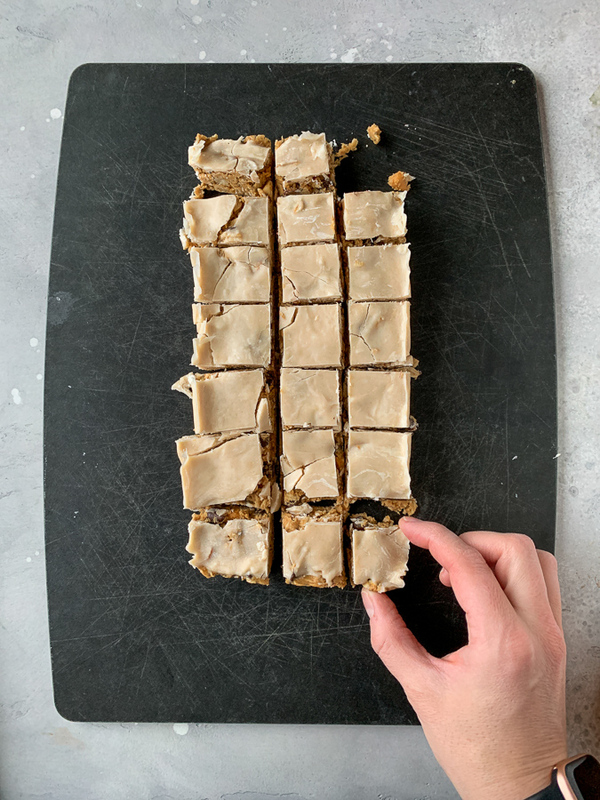 I also decided that I don’t really like eating “balls.” They tend to crumble when you bite them, so I changed the recipe to “bites” instead – little squares! We also thought the squares looked a little plain, so I heated up some coconut butter and made a frosting. They turned out SO well! I ended up mashing the ball batter into a loaf pan lined with plastic wrap and then used the freezer to harden the coconut butter before cutting into squares. YUM YUM. The butterscotch chips, peanut butter flavor, and crunchy almond pieces make these so good. 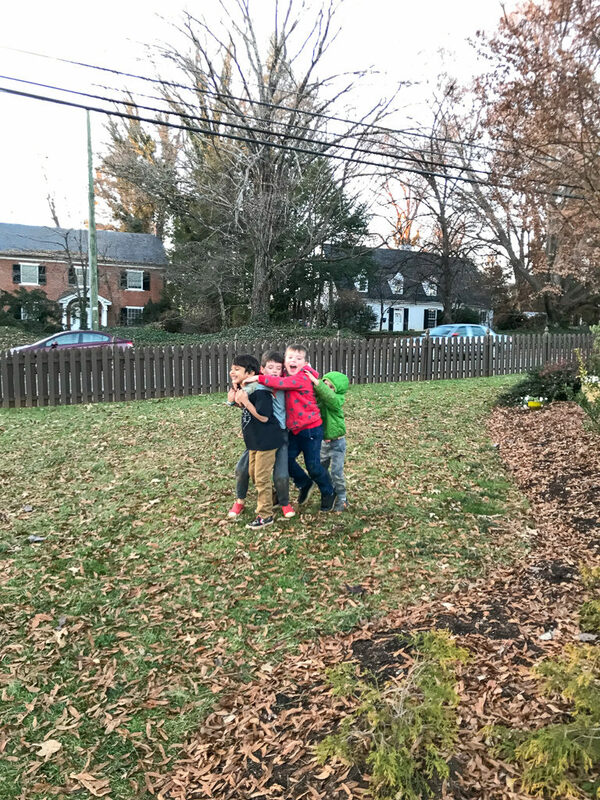 When we weren’t cooking, we were playing with the neighbors. I always tell Thomas that if we build a house it has to be in a neighborhood and this is why! 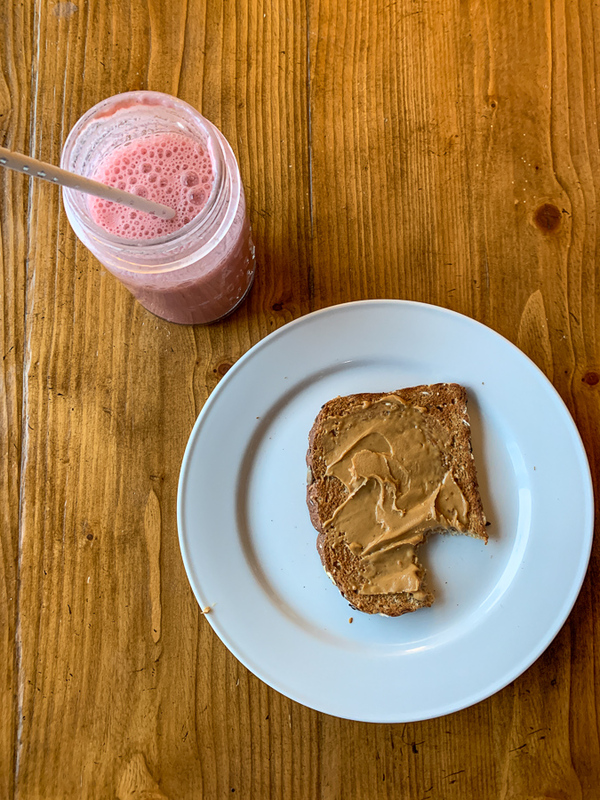 Other KERF meals this week: smoothie + PB toast. 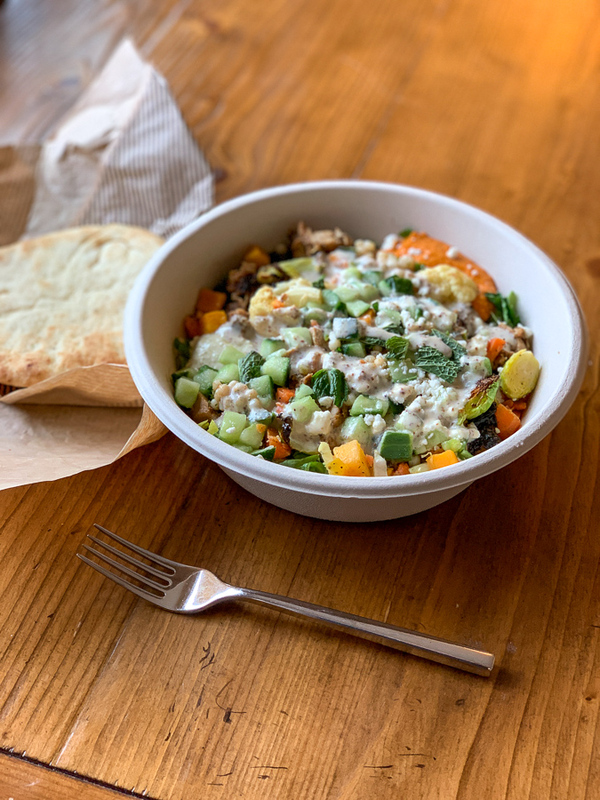 A take-away salad from Cava. 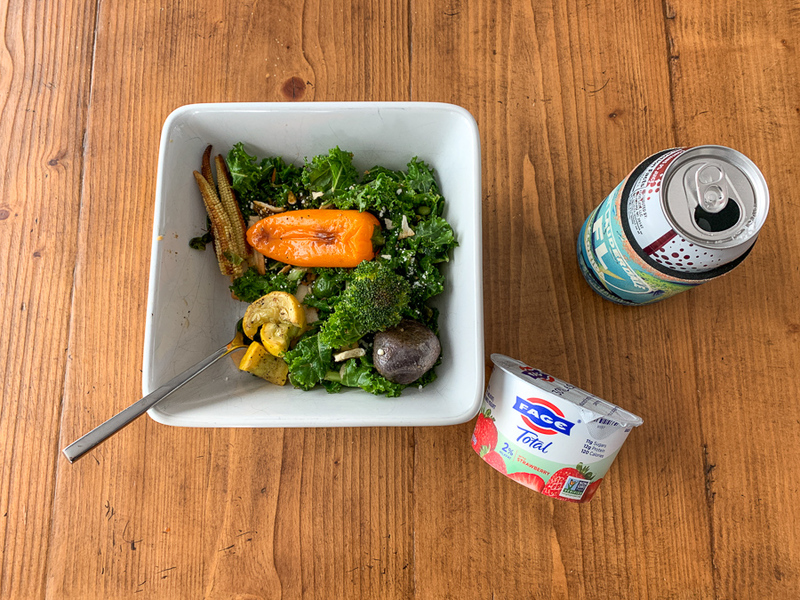 A kale salad with roasted veggies plus a yogurt. 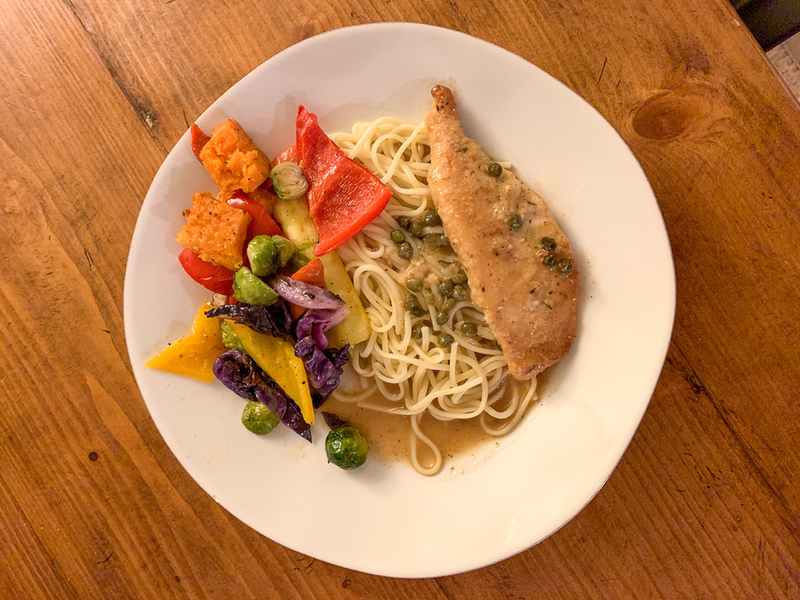 We had Plenty chicken picata with noodles and veggies for dinner one night. 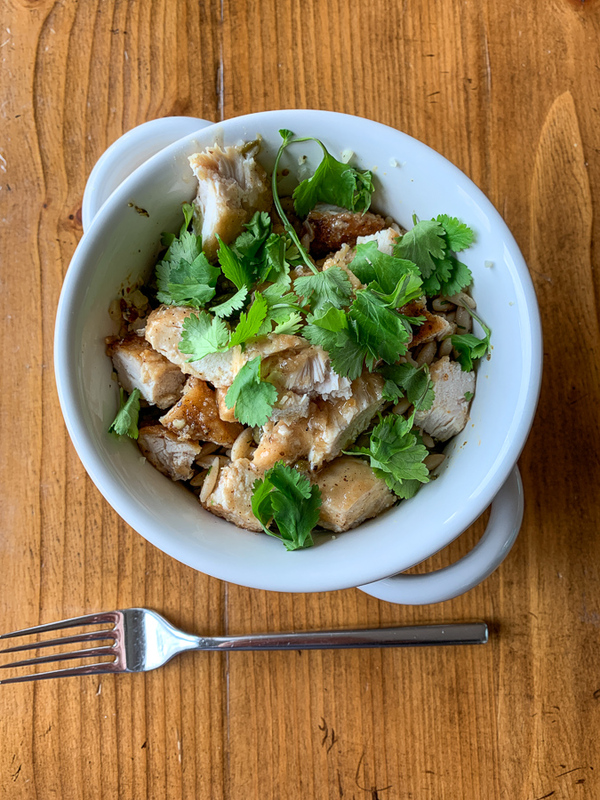 Which made for excellent leftovers for lunch the next day mixed with orzo and herbs. 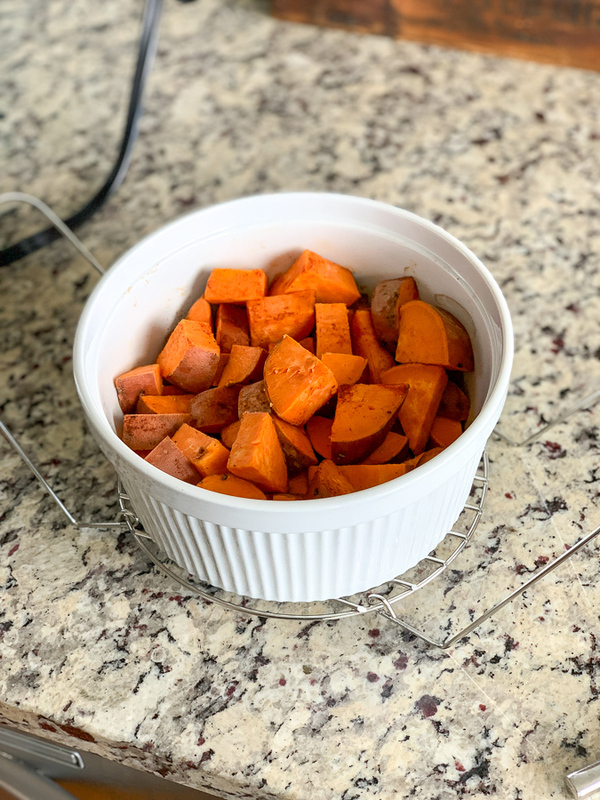 Finally, I attempted to cook chopped sweet potatoes in the Instant Pot. I say “attempted” because they didn’t quite cook well enough. I did pressure cook for 15 minutes thinking since they were bite-size that they didn’t need as long, but I should have done 20. I ended up just roasting them in the oven for an extra 10 minutes to finish cooking them the next day. You win some and you lose some. I can’t wait to tell you about a big IP win next week! These look yummy! 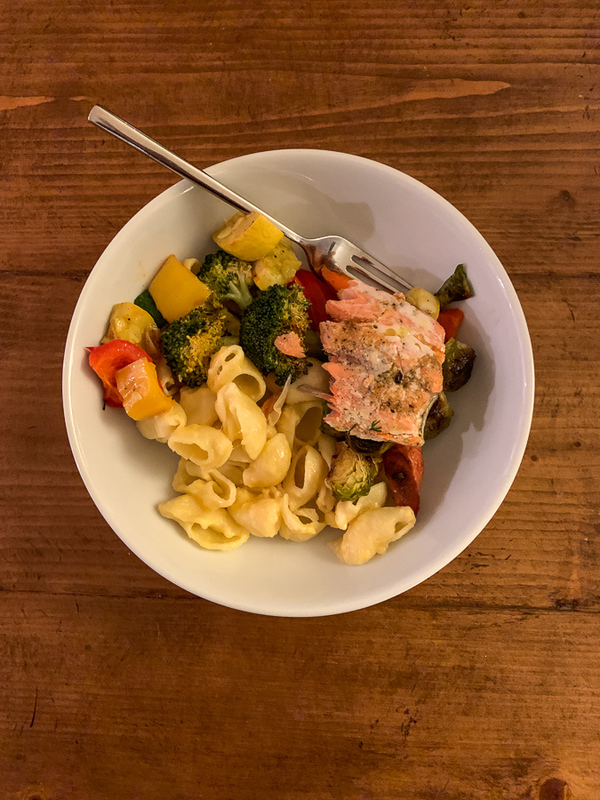 I’m always a little hesitant, though, to make energy bites because they’re so calorie dense and yet small enough that you can eat several before you realize you’re full. How do you stop yourself from eating more than a serving? Are you using the IP on manual high pressure and adding a cup a water to the bottom? It seems like those should sweet potatoes have been done in just a few minutes. I looooove my Instant Pot. It never leaves my counter and never lets me down! I’m always way too lazy to make balls, so I have tended to press them into a pan and make squares as well! The frosting is really the…icing on top. Bahaha. 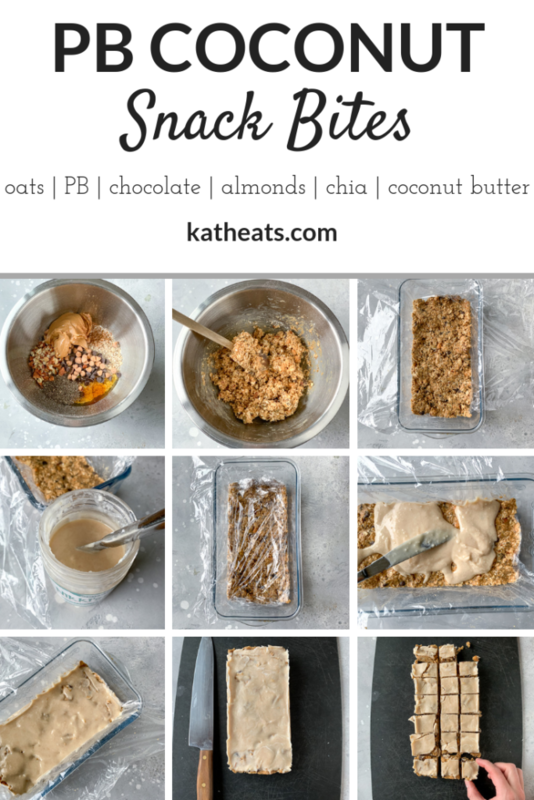 Kath, you’re always so creative, and I love your food inspiration! It’s one of the many reasons I have followed for nine years (!) now and continue to come back to KERF. Have a great Friday and weekend! The snack bites look yummy! – Oh my goodness, the picture with the kids playing looks like a Fall day! LOL We are piled under heaps of snow here. Have a great weekend. I have never made snack balls before but those bars look right up my alley! YUM! It was actually a gift so I’m not sure! It doesn’t have any markings on the bottom. It’s a campfire-style metal one. Hi! Is Coconut butter is different from coconut oil?!? I should know this ? Yes! Coconut butter is to peanut butter as coconut oil is to peanut oil. One is ground and the other is oil pressed out.